Trapeze Artist (l) is primed for his TJ Smith Stakes defence at Randwick after a barrier trial win. Trapeze Artist is showing trainer Gerald Ryan all the signs he can defend the TJ Smith Stakes at what is likely to be his penultimate race start. 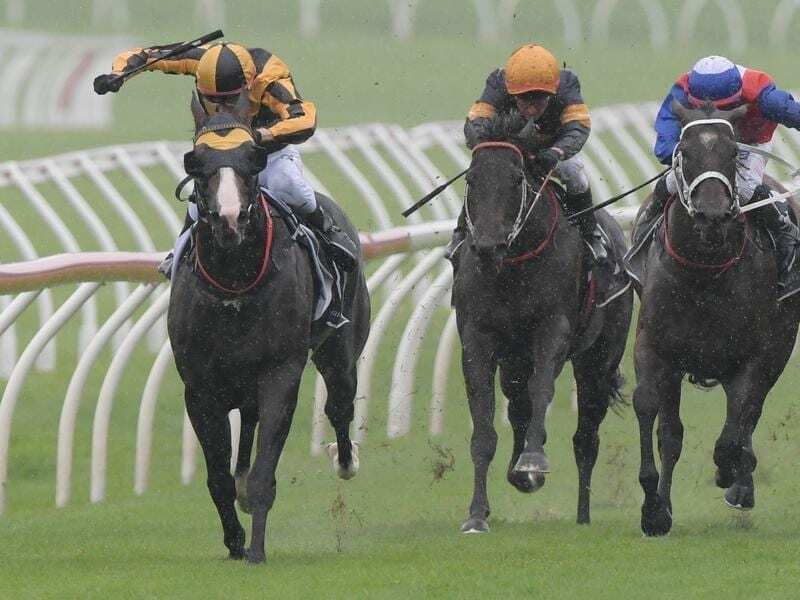 Saturday’s 1200m-sprint at Randwick is expected to boast a stellar line-up with Trapeze Artist the equal favourite with Osborne Bulls before acceptances. Widden Stud will stand Trapeze Artist on behalf of Bert Vieira with the All Aged Stakes on April 20 slated to be his final race unless his owner decides to give him a chance at Royal Ascot. Vieira delayed Trapeze Artist’s stud career at the end of his three-year-old year in favour of a start in The Everest in October in which he finished a gallant second to Redzel. He has won four Group One races, his most recent the Canterbury Stakes (1300m) on March 9. Ryan elected to give the four-year-old a barrier trial on Friday rather than race him again before the TJ Smith and Trapeze Artist duly won his heat in a pleasing effort without his race-day blinkers. “He hasn’t missed a beat since the trial,” Ryan said. Trapeze Artist led from barrier six of seven in the Canterbury Stakes but Ryan said with a bigger TJ Smith field that scenario was unlikely although he should still be forward in the run depending on his draw. With four Group One wins already, Trapeze Artist is the most successful son of champion sire Snitzel who Ryan trained to win the 2006 Oakleigh Plate. Ryan has a high opinion of another son of Snitzel, Cardiff, who runs in the Group Three Kindergarten Stakes (1100m) after his win at Warwick Farm on March 13. The trainer wanted to give Cardiff a trial on Friday and was disappointed he was balloted out with preference given to Randwick-trained horses over Rosehill. “He’s trained on well but I wanted to trial him and I was upset he was balloted out because some of the two-year-old trials only had six or seven runners,” he said.